Looks like you just missed this offer! 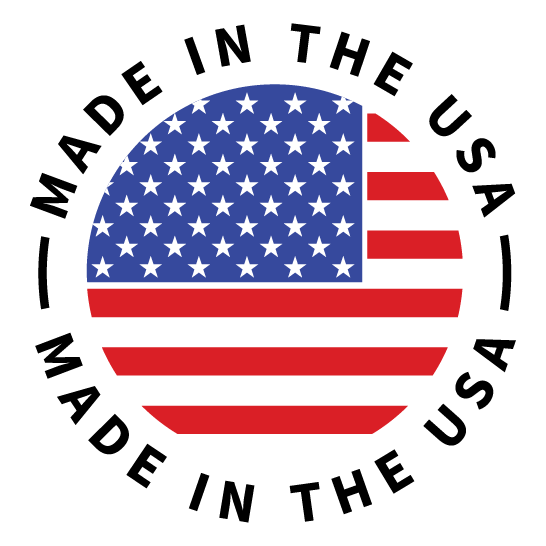 Shop our store for our latest deals like 100% FREE SHIPPING ON ALL ORDERS IN THE USA! We Are Saving The Planet! 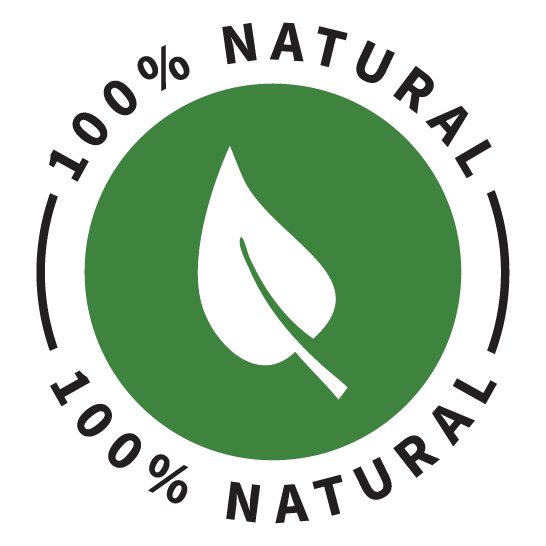 All Natural, and Good For The Earth! 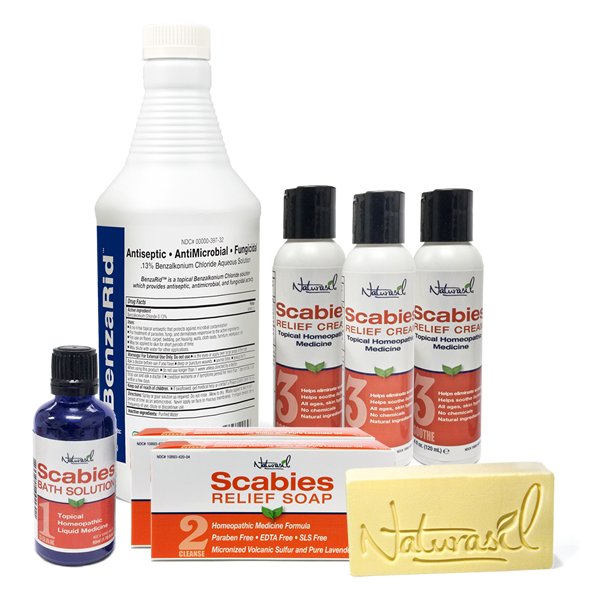 Naturasil's Scabies Starter Pack includes the world's leading all natural scabies relief remedy. 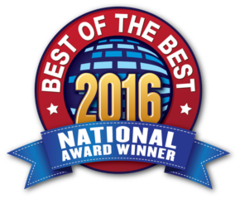 We are a fast growing company because we always put the customer first. A customer-centered shopping experience has always been our goal and we pride ourselves in our comprehensive policies that have put us in a realm above and beyond our competitors. Shop with us today and receive a Special Discount! 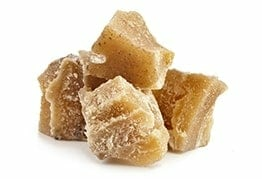 Each of our skincare creams, soaps, essential oil remedies and serums are handmade by holistic health practitioners. 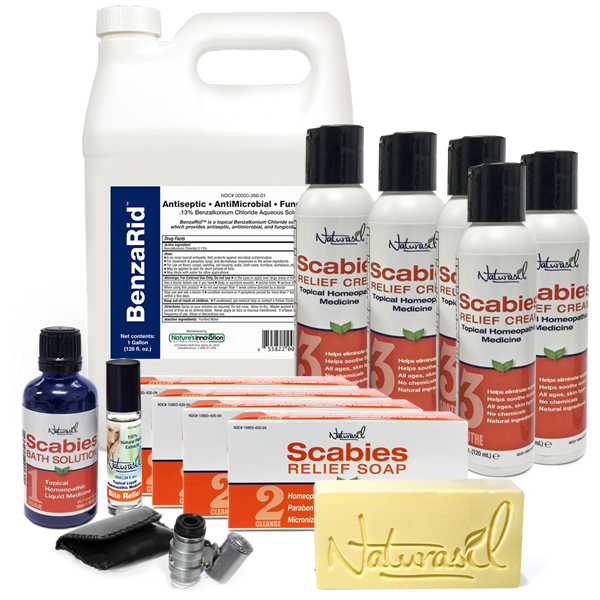 No animals were harmed or used for testing in the making of our effective natural remedies. 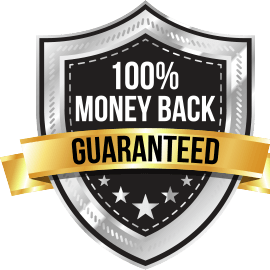 All of Naturasil's products come with a 100% Satisfaction 90 Day Money Back Guarantee. Micronized Volcanic Sulfur has been said to improve the elasticity, softness and suppleness of your skin, it is absorbed by your skin and will not clog your pores. 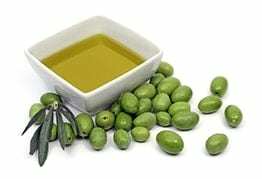 It also eliminates mites. 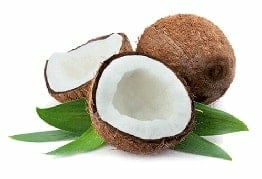 Coconut Oil promotes elasticity, aids with smoothing your skin and is also a fantastic natural moisturizer. Our products contain the best quality Lavender oil and is floral scented oil that has been used for centuries for a variety of skin treatments or for use in aromatherapy. 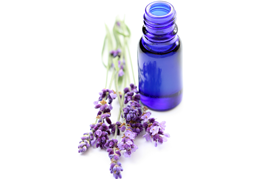 Lavender also has anti-fungal, anti-bacterial, and antiseptic properties. Palm oil has vitamin A and Vitamin E.
Looks like you just missed this offer! Shop our store for our latest deals like... 100% FREE SHIPPING ON ALL ORDERS IN THE USA! I received my package on time and felt so much better after using it. An actual human being (not a bot) even followed up with me in an email explaining she was there to answer any questions about the product too. I will buy another package when this one is gone. Ian D. - Results may vary from person to person. I could not believe how fast this worked! I used a doctor prescribed lotion and it did nothing to get rid of these mites! Using this soap with the bath products gave me immediate relief and after a few days the mites were gone. 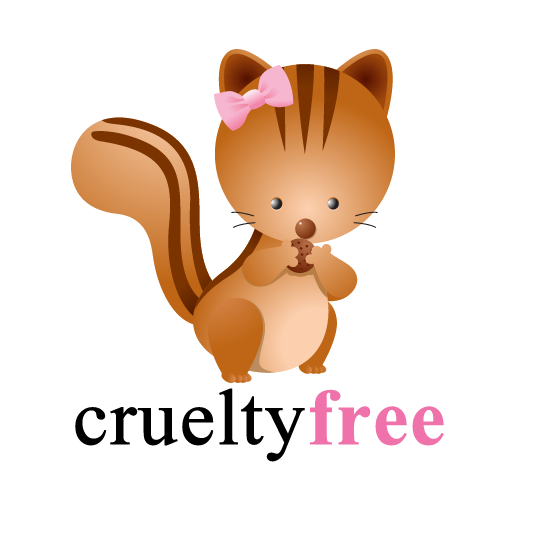 Kathy E. - Results may vary from person to person. Albert - Results may vary from person to person. 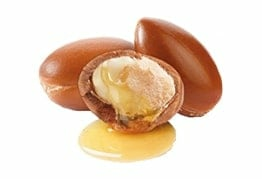 Shop with us today and see the Naturasil difference! 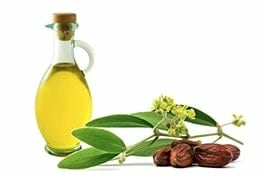 Try Naturasil out for 90 days and if it doesn’t work for you, you’ll get your money back! 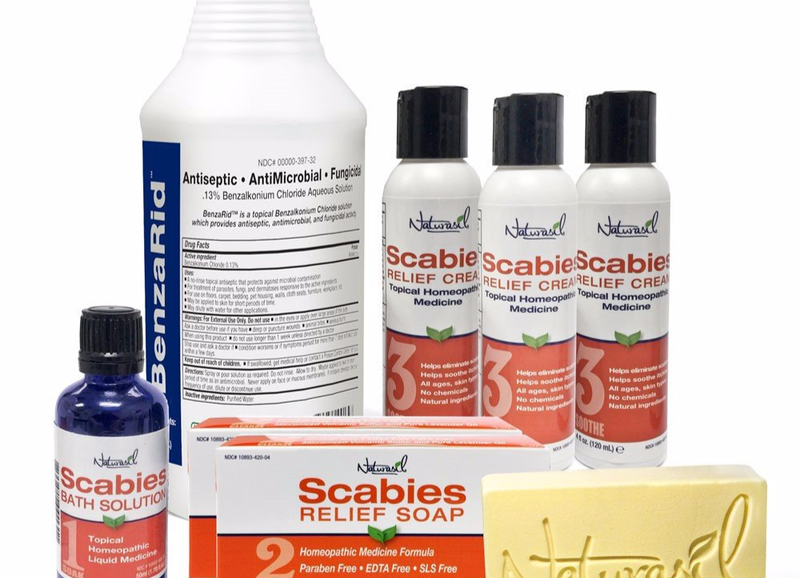 The Scabies Treatment Starter Pack includes: (2) two 4 ounce bars of premium quality hand made Scabies Relief Soap, (1) One 15ml bottle of Scabies Liquid Bath Soak and (1) One 120 ml jar of Scabies Topical Sulfur Cream. Each pack also gets (1) One FREE Scabies Bite Relief. 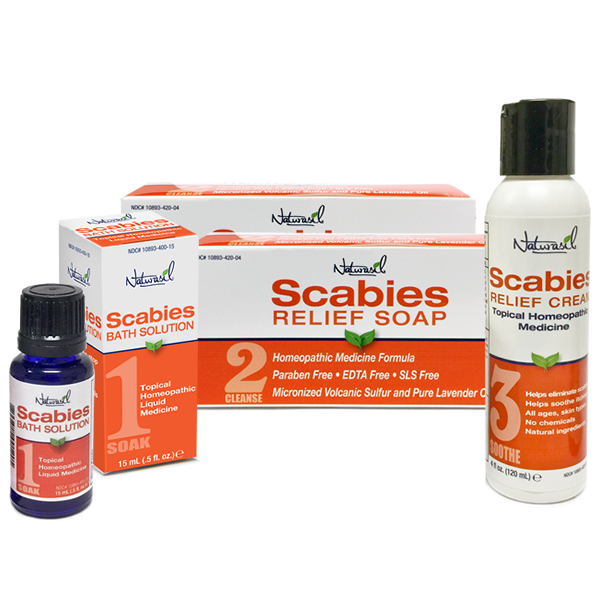 The Scabies Treatment Family Pack includes: (2) Two 4 ounce bars of premium quality hand made Scabies Relief Soap, (1) One 50ml bottle of Scabies Liquid Bath Soak and (3) 4 ounce bottles of Scabies Topical Cream. (1) One Quart 32 Ounces of Benzarid Disinfectant. 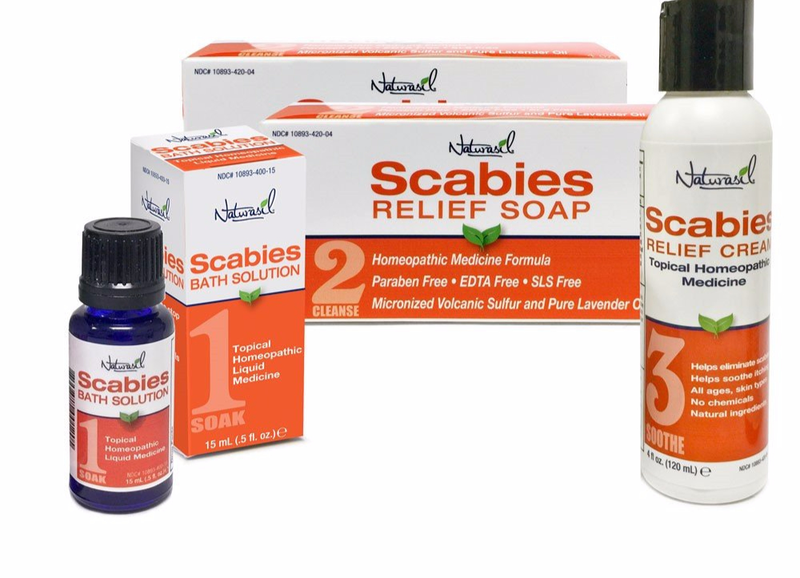 Each pack also gets (1) One FREE Scabies Bite Relief. 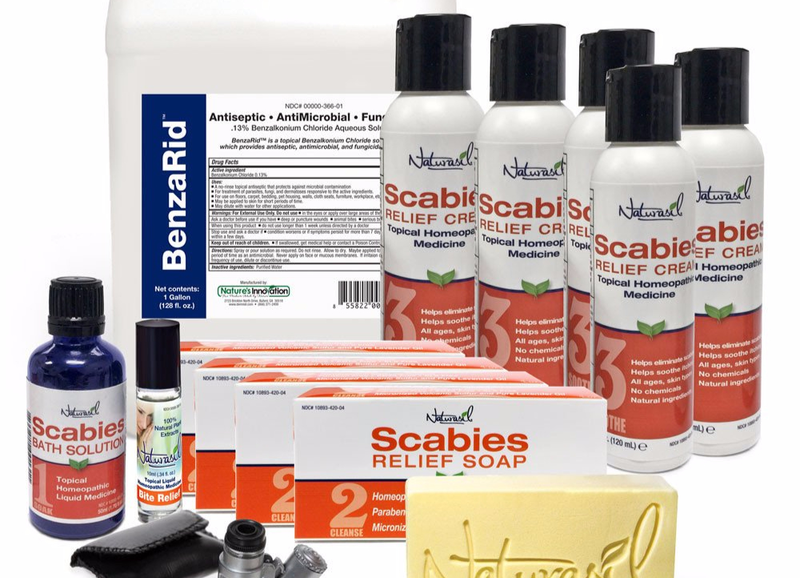 The Scabies Treatment Super Pack Includes: (4) Four 4 ounce bars of premium quality hand made Scabies Soap, (1) One 50ml bottle of Scabies Bath Soak and (5) One 120 ml jar of Scabies Topical Cream. (1) One Gallon of Benzarid Disinfectant (1) Pocket Lighted Microscope. 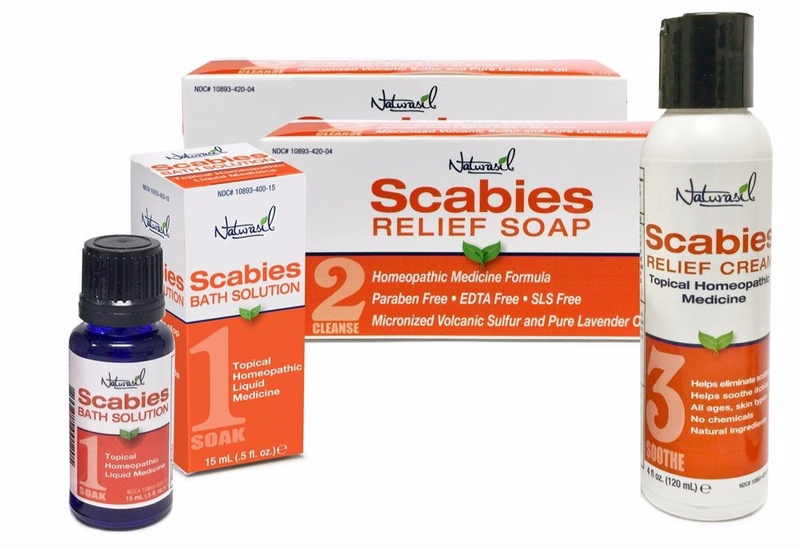 Each pack also gets (1) One FREE Scabies Bite Relief.